Ever since Caitlyn Jenner bravely opened up to Diane Sawyer about being a transgender woman, the world has been transfixed with her journey. In the face of massive public support (and some criticism), Jenner has been brazenly honest about embracing her true self, and her new documentary series I Am Cait promises to continue blazing the trail for trans representation. 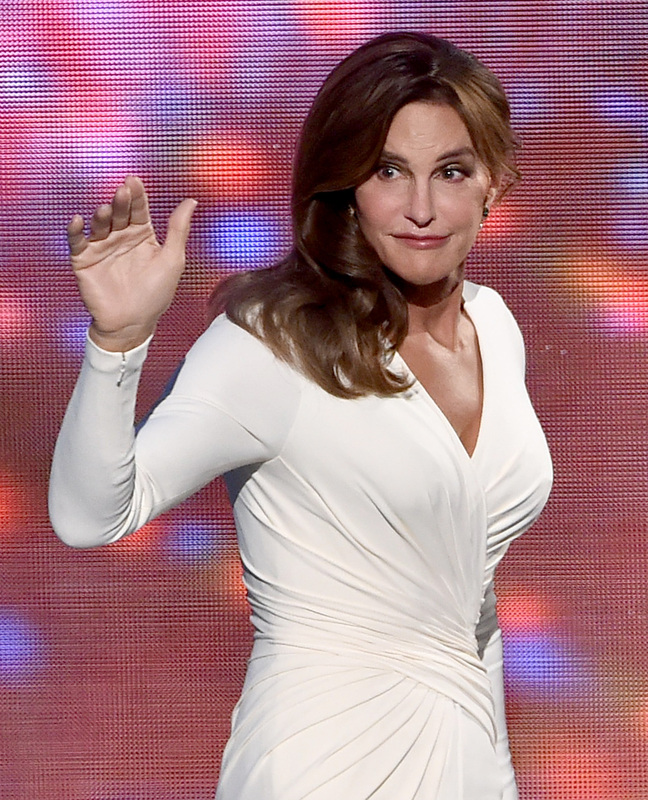 The show premieres July 26, and focuses on Jenner's journey as she enters this new chapter in her life. One of the show's central relationships is the friendship between Caitlyn Jenner and her personal assistant Ronda Kamihira, and if you're unfamiliar with the Kardashian clan's Family/Friend Tree, then you may be wondering who exactly Ronda Kamihira is. Back in 2014, after Kris Jenner filed for divorce, Kamihira received quite a bit of tabloid scrutiny after being spotted out and about with Caitlyn (still going by Bruce at the time). Rumors were flying that she was the new "woman," particularly after they were seen attending an Elton John concert together. It was also reported that Kamihira was Kris Jenner's former BFF and personal assistant, and it was heavily implied by gossip sites like UsMagazine and Perez Hilton that the Kris and Kamihira had had some sort of falling out once she started "dating Bruce." Caitlyn's stepdaughter Kim Kardashian West even confronted her about her relationship with Kamihira on Keeping Up With The Kardashians. Caitlyn responded bluntly. "I don't need to explain my relationship to anybody," Jenner told Kim on the show. "Nothing is going on. Certainly my intentions are not to hurt Kris. I don't want anybody upset, but Kris is not going to tell me who I can and cannot hang out with." In hindsight, the rumors were farfetched at best. Her appearance on the upcoming premiere of I Am Cait is confirmation that Kamihira's role in Jenner's life is that of a supportive family friend and personal assistant. I Am Cait makes it clear that the petty interpersonal politics imagined by gossip journalists couldn't be further away from the reality (or at least the reality depicted in this particular reality series). In addition to being Jenner's personal assistant and stylist, Kamihira was one of the first people in whom Caitlyn confided about her transition, and she's even the one who helped her pick the name Caitlyn. "Years ago I confided in Ronda," Caitlyn says in the first episode, "and she really has been a friend that has supported me. Combined with [hairdresser] Courtney, I've really got a great support group. From that standpoint, I'm blessed." In fact, Kamihira has two daughters of her own that are about the same ages as Kendall and Kylie, and the four of them essentially grew up together. As fun as it may have been to imagine a scandalous relationship between the two or jealous squabbling between Ronda and Kris, the truth is much less shallow. Kamihira is an important and supportive part of the Jenner family's life, and vice versa.